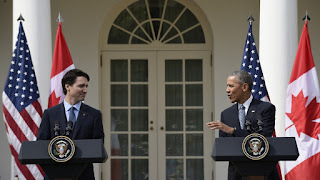 A black squirrel ran behind President Barack Obama of the USA, and Prime Minister Trudeau of Canada, today, March 10, 2016, during a Rose Garden news conference. The black squirrel population at the National Zoo, in Washington, D. C. is a group I personally have seen on my zoological field visits there in the 1970s. The black squirrels are well-fed by the zoo visitors waiting to see the giant pandas, and, needless to say, naturally protected in these surroundings. They apparently have spread throughout the city, into Lafayette Square. Justin Pierre James Trudeau PC MP (born December 25, 1971) is a Canadian politician who is the 23rd and current Prime Minister of Canada, as well as the Leader of the Liberal Party. Forbes has ranked Trudeau the 69th most powerful person in the world. 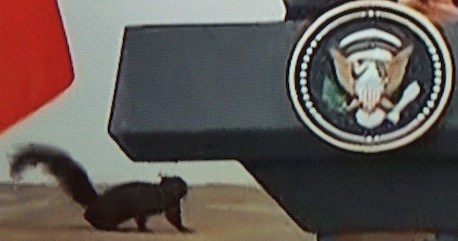 Almost immediately, Twitter acknowledged the melanistic squirrel sighting with this hashtag: #illuminati. The Illuminati? Apparently, there is a rumor making the rounds linking the Illuminati, Skull and Bones, and the 22nd March 2016. in a global predictive fashion. As this thinking goes, the date has been part of the planning, according to conspiracy circles, of the Bilderberg Group, the Center on Foreign Relations, Bohemian Grove, Council of 300, Club of Rome and the Trilateral Commission for decades, with them all pointing to March 22nd 2016. A great deal of energy has been given over to deciphering what exactly the Illuminati is. 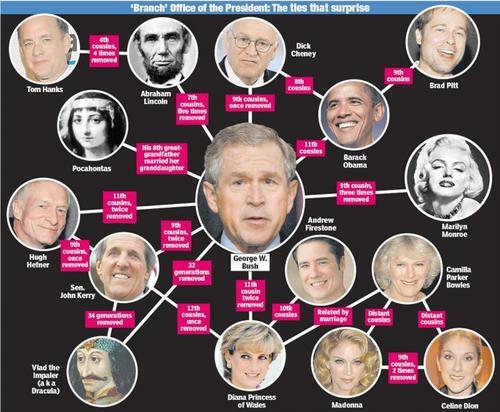 Or what Skull & Bones involves. Or, for that matter, what the Office of the President concerns. Will anything special happen on 3.22.2016? Was a black squirrel on 3.10.2016, only a black squirrel? And tells them to Nithhogg beneath." Just saw a beautiful black squirrel in Kankakee, IL this morning. Any syncs to that location?